Canaan Group is pleased to have delivered this Snow Removal Vehicle (Plow) for ultimate use by the Vancouver International Airport (YVR) for snow removal. The Plow was expedited from Montreal to Vancouver and delivered smoothly and on schedule to YVR, Vancouver International Airport. Canaan’s Project Cargo team facilitated the stripping and de-stuffing of the containers in Montreal, and trans-loading of the Plow onto the appropriate flat rack/containers and then arranging long haul transport across Canada. 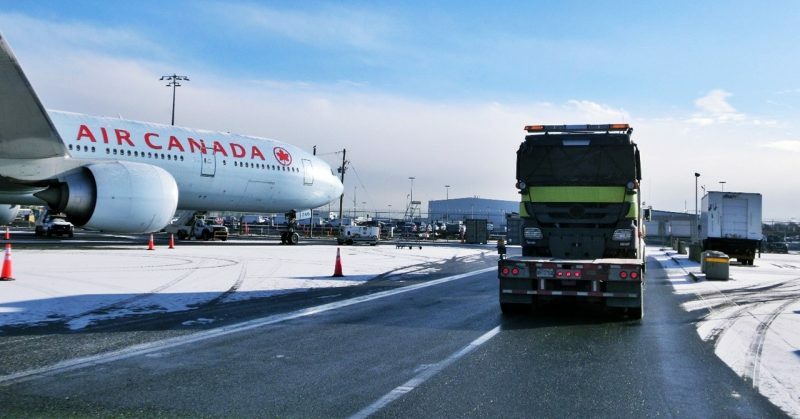 Being able to arrange transport for snow removal equipment like this to Vancouver International Airport ensures flights departing and arriving will be on time. Paying attention to detail has made YVR an 8-time consecutive Skytrax winner of best North American Airport.